Step into Solo Trattoria and enter a delightfully unique dining experience in the the downtown core of Sault Ste Marie, Ontario. 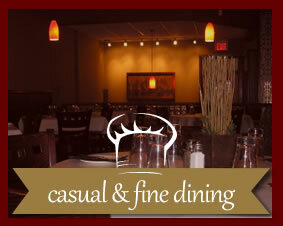 Whether you're looking for casual or fine dining, something to do before or after a concert at Sault Ste Marie's largest entertainment complex (which is right across the street from us), or looking for a catered event, chef/owner Chris Lepore and his professional staff will take care of all your dining needs, in an Italian restaurant that presents an ambiance of elegance. 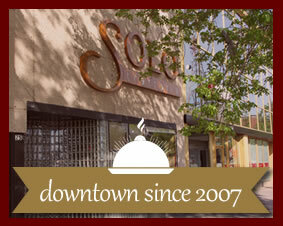 Solo Trattoria was opened in early 2007, and has been a strong, rising presence in the downtown dining scene ever since. 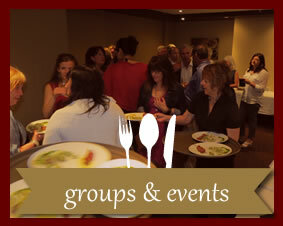 Have a large group, or wish to have a private dining experience? We can do it! Solo Trattoria ... "Where Good Friends, Great Food, and Fine Wine Come Together"
© 2019 Solo Trattoria - Sault Ste. Marie. All rights reserved.